The history of Antigua and Barbuda resembles that of many other nations in the Caribbean, and that history is reflected in their flag. 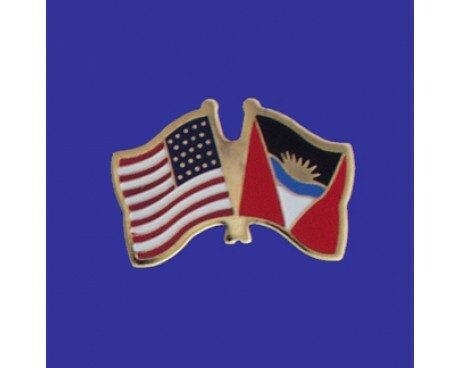 The modern Antigua and Barbuda flag came into use when the nation gained its independence from the British Empire in the decades after the second world war, but that was not the first flag to represent the country. 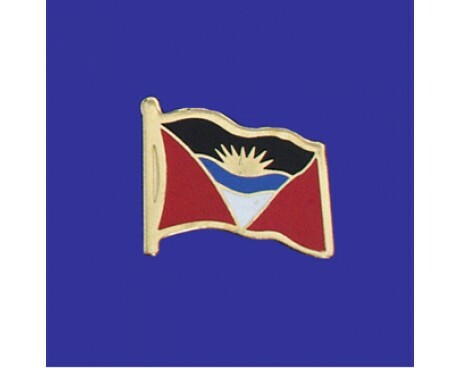 That honor goes to the colonial Antigua and Barbuda flag, which bears very little resemblance to the modern design. The national flag of Antigua and Barbuda was adopted on February 27, 1967, and was designed by a nationally acclaimed artist and sculptor, Sir Reginald Samuel. The rising sun symbolizes the dawning of a new era. The colors have different meanings, the black is for the African ancestry of the people, the blue for hope, the red for energy or dynamism of the people. The successive coloring of yellow, blue, and white (from the sun down) also stands for the sun, sea, and sand. The blue also represents the Caribbean Sea, and the V-shape is the symbol of victory. The flag dates from the achievement of self-government in 1967. It was the winning design in a competition that more than 600 local people entered. The designer and winner was Sir Reginald Samuel. 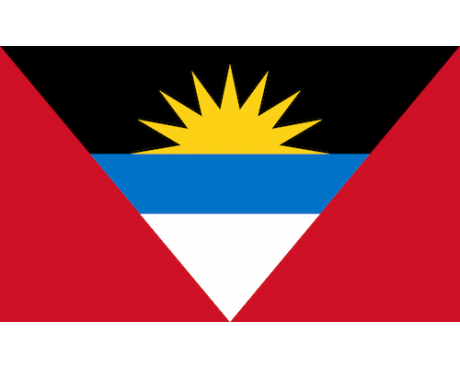 The current Antigua flag features a red field with an unusually complex design in the center. An isosceles triangle reaches up from the bottom of the flag, and that triangle three bands of white, blue, and black. The black band holds a depiction of the sun which appears to be rising out of the blue band. The red field represents the energy of the nation's people, while the black band represents their African ancestry. The white band is a symbol of the nation's sandy beaches, while the blue section represents the Caribbean. The sun is a symbol of hope for the nation's future in the post-colonial era, and its arrangement is a reminder of the natural beauty of the sun rising over the Caribbean. The first Antigua flag had a simple design that followed the same pattern as most other colonial flags within the British Empire. It had a solid blue field that featured the Union Jack in the canton and the colonial coat of arms in the fly. That coat of arms featured a natural scene that represented the nation's natural beauty. 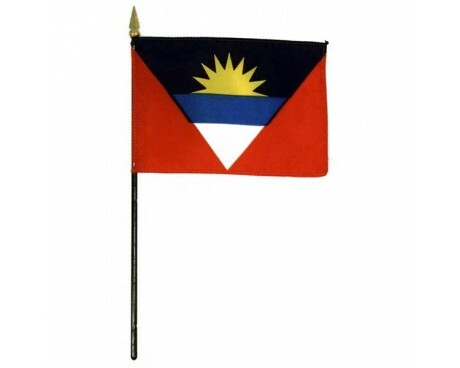 The colonial flag had to be replaced when Antigua and Barbuda gained their independence from the British Empire. It designed by Sir Reginald Samuel, a man who had won acclaim as an artist prior to his work with the flag. The design was chosen as part of a national contest that attracted several hundred entries, and it was formally adopted in 1967. It is the only flag that has represented the nation during its time as an independent country, and it has not undergone any changes since it was first adopted.